Iconic PBS series Austin City Limits announces a new season premiering October 7 with an an epic hour featuring global superstar Ed Sheeran. With this season, ACL becomes the longest-running music show in television history, providing viewers with a front-row seat to the best in performance for over 40 years, and continues its legendary run showcasing more stars, innovators and highly-anticipated debuts. Austin City Limits returns to PBS on Saturday, October 7 at 9pm ET/8pm CT (check local listings) with a season premiere featuring UK hitmaker Ed Sheeran in his second appearance on the ACL stage, returning to perform his biggest hits and new gems from his chart-topping third album ÷ (Divide). 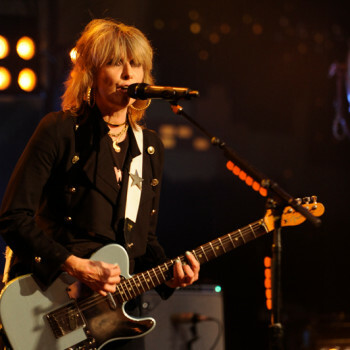 The upcoming Season 43 is filled with musical treats: trailblazing rock band The Pretenders dazzle in their ACL debut with an electrifying, career-spanning performance. Country superstar (and Texas native) Miranda Lambert, in her third appearance, shines in a stunning hour of music while sharing the stories behind her songs. 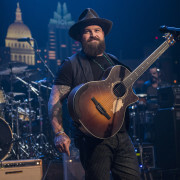 Multi-platinum Southern country-rock act Zac Brown Band make their first ACL visit with a remarkable career-wide hour. The extended line-up features ACL debuts from outstanding newcomers including indie original Angel Olsen and New Orleans blues-rocker Benjamin Booker, while returning Americana favorites Norah Jones and The Head and the Heart bring their latest music to the ACL stage. 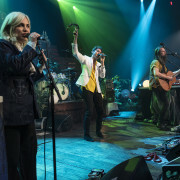 In addition to the popular livestreams of select tapings which ACL offers fans worldwide, this season will amplify the show’s commitment to delivering exciting new platforms to experience Austin City Limits’ live performances. Austin City Limits is partnering with Google’s virtual reality team to create an immersive 10-part Daydream video series, ACL VR, bringing exclusive performance and behind-the-scenes content to viewers everywhere. Stay tuned to ACL’s YouTube Channel this fall for 360° from Ed Sheeran, Zac Brown Band and more from Season 43. 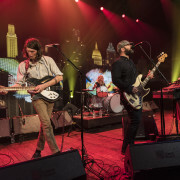 For the seventh consecutive year, the producers of Austin City Limits, in conjunction with High 5 Productions, and the Americana Music Association, are proud to present a special ACL Presents—featuring the best music performances from this year’s Americana Music Association Honors and Awards Ceremony held September 13 at the historic Ryman Auditorium in Nashville, TN. 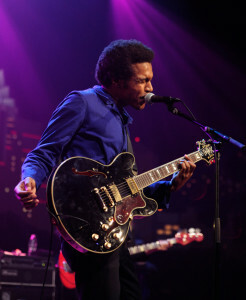 Austin City Limits continues to livestream select performances including a trio of highly-anticipated Season 43 performances: On August 21, in a rare double taping, ACL will livestream acclaimed singer/songwriters Jason Isbell and Amanda Shires and on August 22 indie rock sensation Father John Misty. The tapings are livestreamed worldwide on ACL’s YouTube Channel at 9pm ET/8pm CT. The broadcast episodes of these tapings will air as part of the second half of ACL’s Season 43 which kicks off on New Year’s Eve. 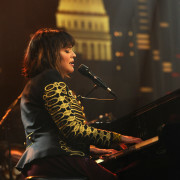 Viewers can visit acltv.com for news regarding future tapings, episode schedules and live stream updates. The complete line-up for the full 14-week season, including eight new episodes to air beginning December 31, 2017, will be announced at a later date. 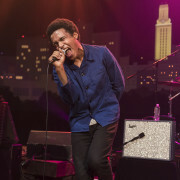 Check the news section of acltv.com for additional episode updates.